My apologies for being MIA this week. It was my partner's birthday yesterday (turning 30! I still can't believe it). I wanted everything to be perfect (or at least, the best possible) and it took me more work and time than I initially thought. I apologize. I have an easy DIY project to share today. 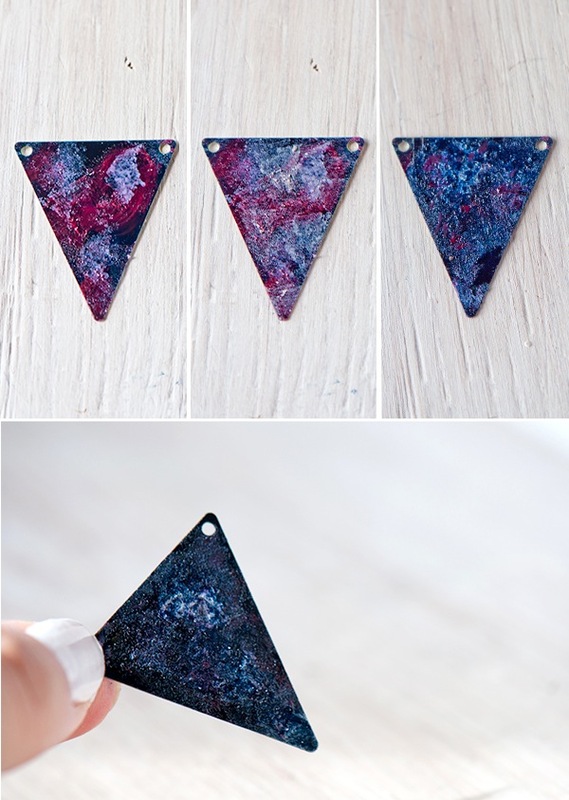 As an astronomy lover, I've been loving the galaxy trend and the galaxy-related products, clothes and DIY projects popping up all over the interwebs. 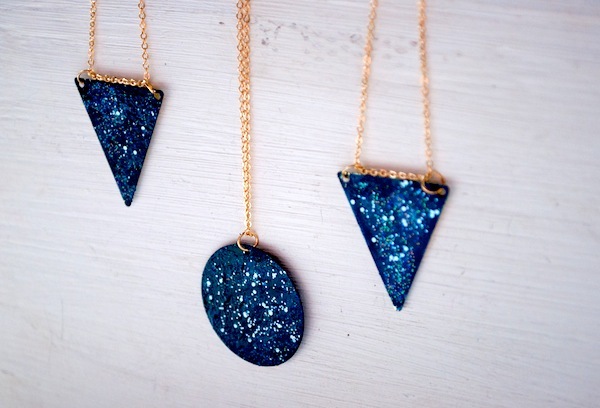 Strangely enough, a galaxy necklace is not easy to find (except from this kind of pendants where a photo is placed under a glass dome, which is nice, but not what I was looking for). So I thought I'd make it myself, and share the tutorial. It's an easy, fun, quick project that requires next to no crafting skills and doesn't cost a fortune in supplies. Triangle (or round, or any shape you fancy) charms. I used brass ones, similar to these. Chain necklace (or chain, jump ring, and clasp to assemble- see an easy tutorial here). 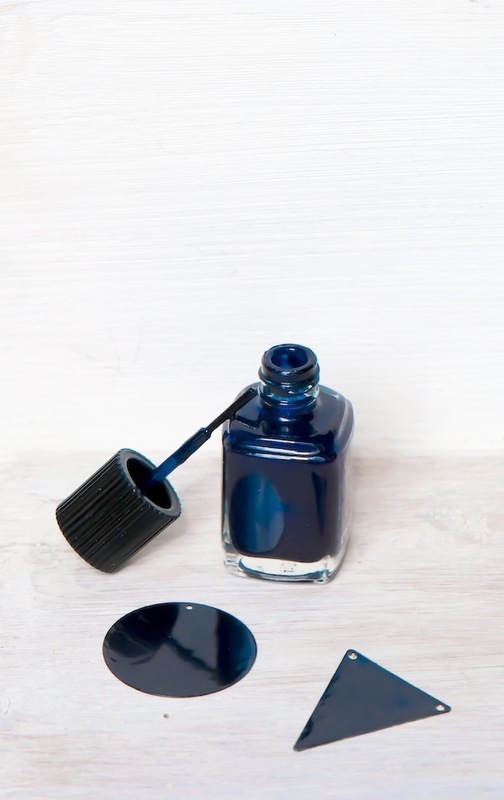 I first applied a generous coat of navy blue polish and let it dry completely. I started with the hot pink polish. I dabbed a small amount of polish on the corner of the sponge. I randomly sponged the polish onto the charm. 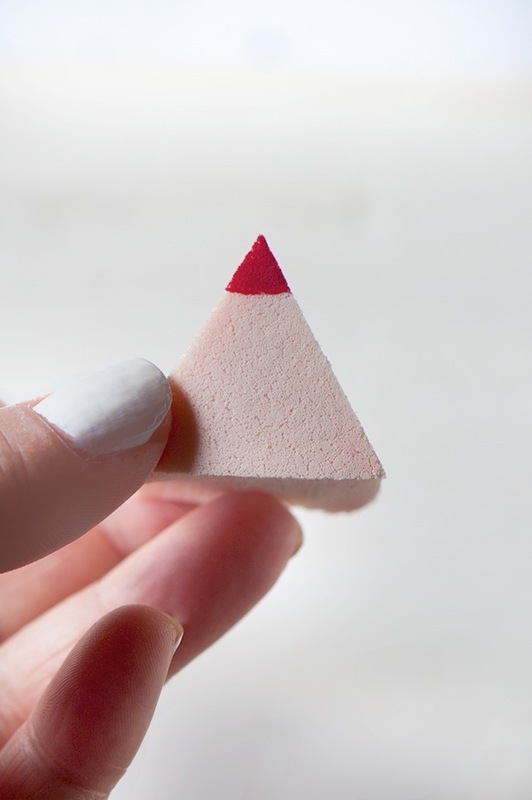 Nail art experts probably do it in a better way (and way better! ), but since I have little to no knowledge in the field, I relied on luck. I continued sponging the polish onto the charm- a dab here, a dab there, with lilac, then white, then navy blue (the color I used as a base) until I was happy with the result. I then let it dry completely (it took about 5 minutes). I applied a layer of glitter polish and let it dry completely. I then added a layer of top coat, that I let dry as well, before applying a clear acrylic varnish to make sure it would last longer than my typical manicure. Voilà! Enjoy your new necklace. how neat! such a fun idea. Thank you Bridget, hope you'll try it! That necklace is stunning! I would have never guessed it was so easy to make. Thank you for sharing! Ha, let's galaxy-fy everything! 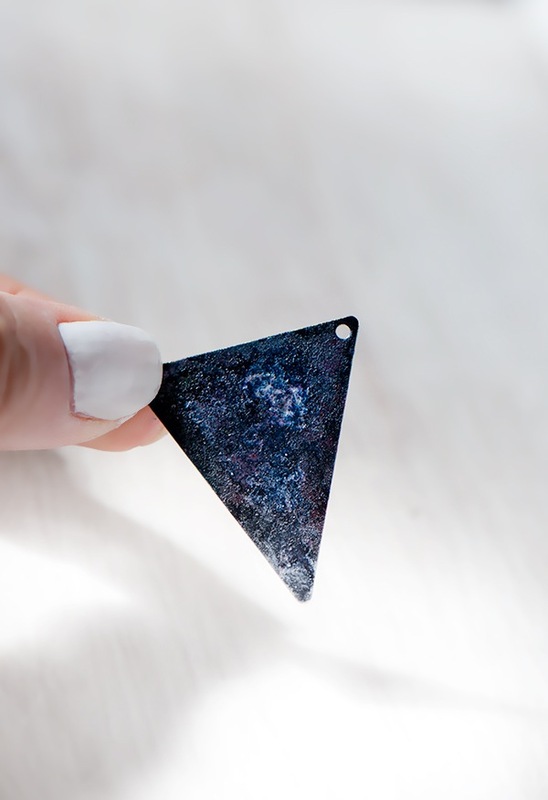 If you're used to doing galaxy nails, your necklace is going to look stunning. 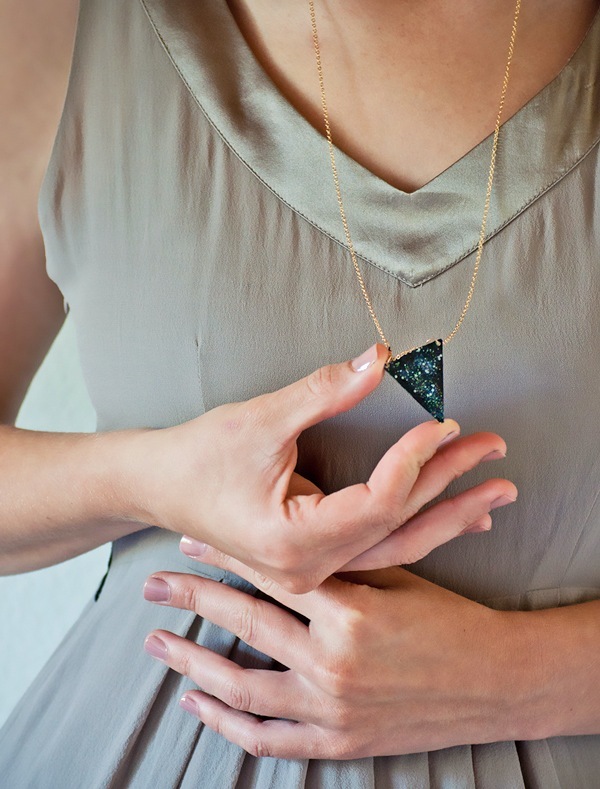 What a pretty necklace, Clemence - great idea! Thank you so much Ann, I'm glad you enjoy it! Even though I'm sure mine wouldn't come out as perfect as yours, I'm gonna give this a shot! It's too cool. I'm sure yours will turn out awesome. It's a no-fail DIY! So glad you're going to give it a try! It's OPI "barefoot in Barcelona". So pretty! And thanks a lot for including the "dabbing" steps ;) I've never worked with nail polish before so this is a great! Thank you so much! Very pretty, the blue with white specs remind me of lapis! That's such a cool project! Thanks for the ideas. 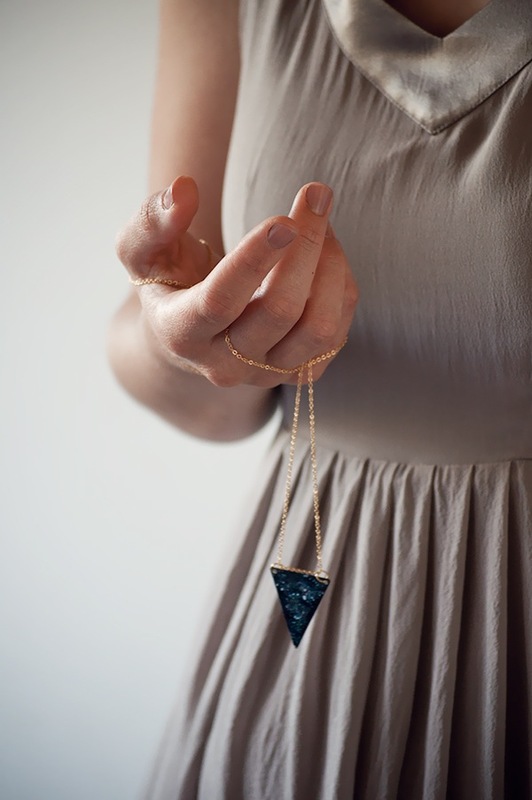 Where did you buy the triangle charm from? Oh wow this reminds me of something I made in high school thanks for sharing! 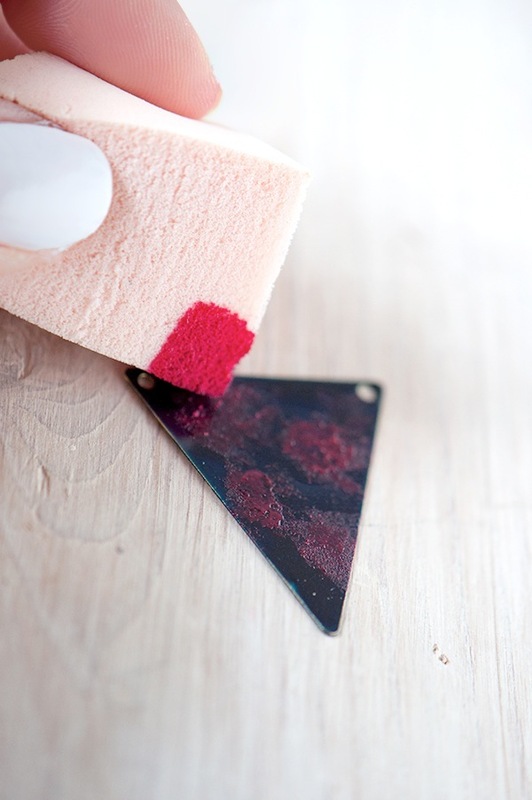 Great DIY and i can't wait to try this out! 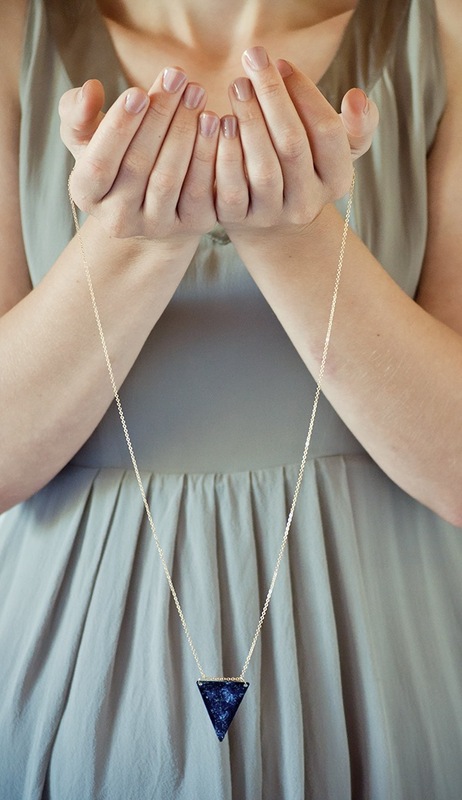 I love using necklaces to accessorize too! Very, very pretty. It almost looks like part of a photograph. You did a great job! Its like you read my mind! You appear to know a lot about this, like you wrote the book in it or something. I think that you can do with some pics to drive the message home a bit, but other than that, this is fantastic blog. A fantastic read. I'll definitely be back. What's up everyone, it's my first pay a visit at this site, and piece of writing is truly fruitful designed for me, keep up posting such posts. 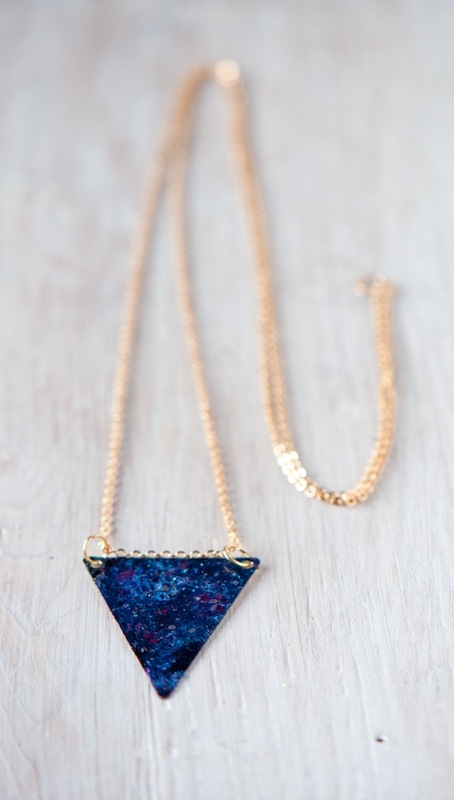 This galaxy necklace is perfect for summer days. 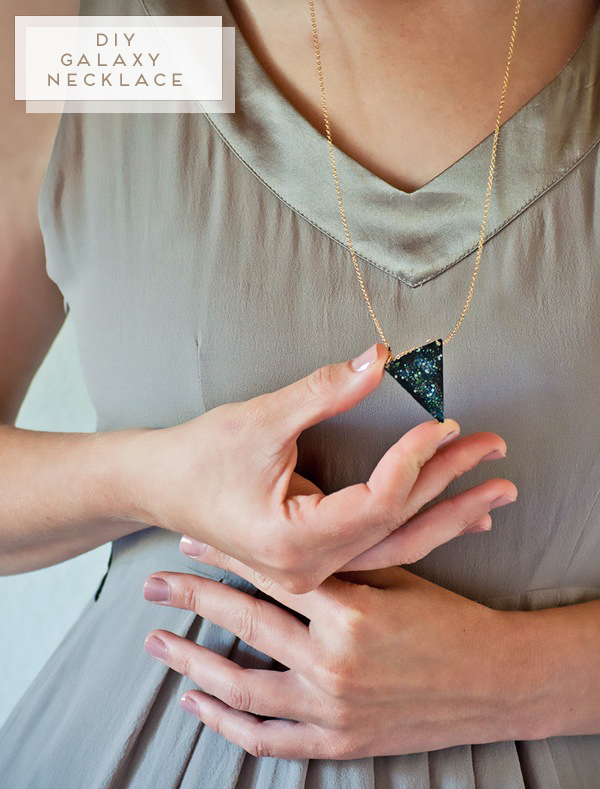 Love this necklace DIY project so much. The app developers put a lot of bang-up features into this unity lotion which makes it simpleton likewise as appealing concurrently. Let’s see about of its features. Mobdro divides its on-line streaming videos into 12 categories, Channelize, Newsworthiness, Display, Movies, Sportsman, Games, Vitality, Detective, Podcast, Unearthly, and others. Users wicker sentinel their coveted capacity by upright tapping on to these categories Mobdro.